As a homeowner, you have many decisions to make. It is vital to determine what type of shower you wish to install in your bathroom. When making this decision, you will have several options available to you. There are numerous shower options, including electric showers, digital showers, power showers and mixer showers. With mixer shower, you have the old school manual style where you turn the dial until the right temperature is achieved and then there is the more modern and definitely worth the few extra £££ thermostatic mixer valve where the hot and cold supplies are combined together, and regulated at the set degree you prefer. It has various benefits, for instance, it’ll provide you with a better flow rate and you’ll be able to ensure that you’re never scalded when someone flushed the toilet or turns on a tap in another room. With this in mind, you’ll want to go above and beyond to ensure that you find the best buy, within this particular category. Below, you will learn how to make the right purchase! Before rushing into this purchase, you should take the time to consider your options and all of the factors associated with each. Here is a breakdown of the most important factors. Price – While many consumers will have a preference regarding how much to spend, price should not be the only judging factor. Instead, you should also consider the factors below. Design – Although all of these showers serve the same purpose, their designs can be very diverse. Some will position two handles across from one another, while others will have them placed vertically. Although this isn’t a big deal, you should make sure to choose a design that fits your fancy. Pressure Controls – When choosing a mixer valve, you should consider whether or not you want to be able to control the pressure of your water. Some of these offer a flow rate controller, but this isn’t available with all. Temperature Controls – Each of these valves will give you the ability to adjust the water’s temperature, but they’ll do so differently. Some will only come with a single temperature knob, while others will have two knobs. This should be a personal decision, so be sure to choose the option that you prefer. Installation Difficulty – When attempting to choose the right valve for your bathtub, you’ll need to make sure to consider your skill level. Are you capable of installing a highly complex valve? If not, you might want to opt for one that is much easier to install. Energy Consumption - Of course the rule is the higher the KW, the more electricity it is going to burn. To give you some idea, according to this report a 10 minute shower a day will set you back around 27p, with an 8.5 Kw coming in at 25p. Some models have eco setting that can of course reduce this cost. At the end of the day, each and every one of the factors above should be considered. By comparing all of these factors, you will ultimately come to a much more informed decision and will end up with a product, which will serve you better. Below, you will be able to find reviews for the most recommended mixer shower valves on the market. Some individuals are interested in purchasing a mixer valve, which can easily be concealed. If this is something that you’re interest in, you should definitely check out the iBath Thermostatic Mixer Shower Set. This one is manufactured from solid brass, which provides it with a beautiful finish and tons of durability. The kit includes everything you need, including the shower head, mixer shower valve, shower arm, bracket, manual and handheld head and hose. Despite all of these wonderful features, the product is incredibly cheap! The shower’s knobs are very difficult to spot, which makes this one of the best-concealed shower mixers. One of the most impressive aspects of all is the 10-year warranty, which protects the product and your investment tremendously. This device comes with 2-dials, which gives you the ability to run two items with this set. The mixer is capable of effectively regulating the water temperature to ensure that you don’t get scalded. The showerhead doesn’t offer many spray options, but it is 7”, which will ensure that it drenches you well. Comes with an incredibly extensive 10-year warranty! Although the iBath Thermostatic Mixer Shower Set might have a few tiny flaws, they should not be considered deal breakers. The device is well made, very durable and covered by a 10-year warranty! For the price, the item could very well be considered a steal! Be sure to check it out further today! Q: How is the main shower arm attached to the wall? Is a special backing plate required? Q: Is the main shower head on a ball joint so you can angle it or is it fixed in the straight position? A: I can confirm the shower head allows slight rotation, but is not on a ball joint. If you’re looking to take things to a whole new level and want to be able to control an assortment of different items, you’ll want to take the time to explore the iBath SS3010 Mixer Valve. This shower is equipped with a thermostatic cartridge and 3 dials. The shower’s temperature control is set to stop at 38 degrees and will prevent you from being scalded by water that is too hot. 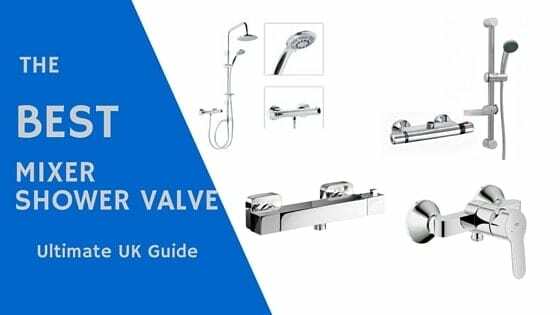 When purchasing this specific kit, you’ll receive everything you could ever need, including the shower head, mixer valve, shower arm, body jets, hand held head and the bracket. Although this mixer shower set might be a tiny bit more expensive, it is backed up by a 10-year warranty! With this combination, you really cannot lose! The 12” showerhead is square and will drench you completely. The shower is equipped with neoperl check valves, which helps to prevent unwanted backflow. More pros and cons can be found below. At the end of the day, you truly get what you pay for, when purchasing one of these sets. With this in mind, the iBath 3 Dial Mixer Shower Set is an exceptionally good purchase. It offers more features, durability and a lengthy 10-year warranty. Be sure to explore it further today! A: The centres are as others have stated 150 mm between pipes but supplied with the unit are two offset adaptors to accommodate about plus and minus 10 mm. Are you looking for a showerhead and handset to replace that out of date model? If so, you should definitely consider the modern-looking UK Tap shower kit. This setup will surely transform any traditional shower stall into a more modern day shower. The square showerhead and handset is very eye appealing. The showerhead measures in at 8” L x 8” W and 8-millimeter thickness. 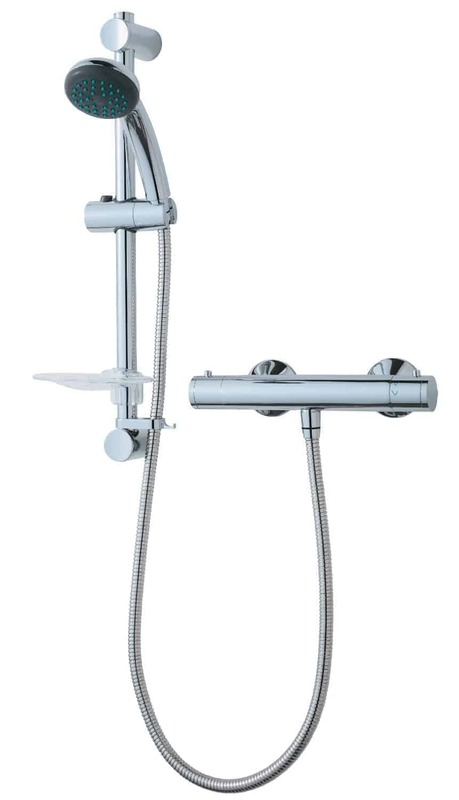 The UK Tap shower mixer set is very unique and will provide you and your family with many years of service. If you have small children, you will be relieved to learn that this shower set is equipped with an anti-scalding safety feature. The headset swivels back and forth, which is perfect for tall and short individuals. 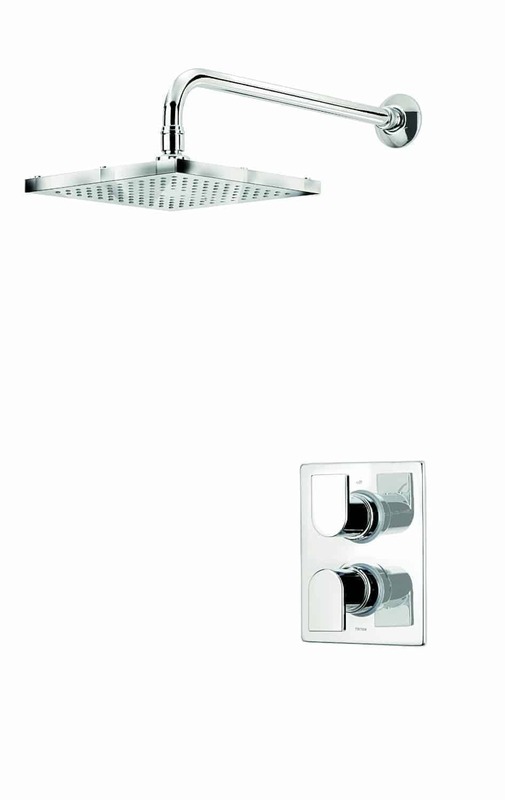 ​The UK Tap shower mixer set is constructed out of heavy duty PVC and has chrome plated overly. Lime or rust will never build up on this shower set, which is an added bonus for all homeowners. Whether you are upgrading or installing a brand new showerhead and handset in your shower stall, you will definitely fall in love with the UK Tap shower kit. Some consumers are unfortunately plagued with poor water pressure. This can be a major flaw, but there are some solutions to the problem. For instance, your shower of choice can dramatically change this! 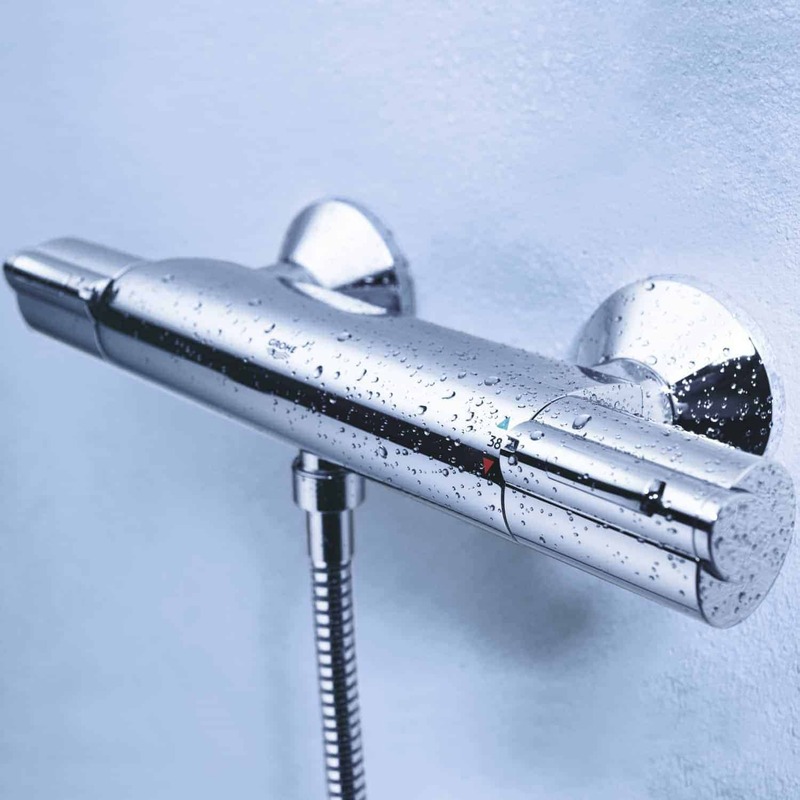 The Triton Sema Thermostatic Bar Mixer Shower is capable of working exceptionally well with lower water pressures. It also has many other excellent features, which makes it well worth exploring further. For starters, the item is covered by a 5-year full parts and labour guarantee. It works with all different water systems. The shower is also fitted with an automatic shutdown feature, which can protect you, if the hot or cold water supplies malfunction. For more customization and control, this mixer shower is equipped with separate controls for flow and temperature. The maximum temperature stop is preset to 38 degrees, at the factory. The thermostatic control is designed to ensure that the water’s temperature remains constant throughout your shower! 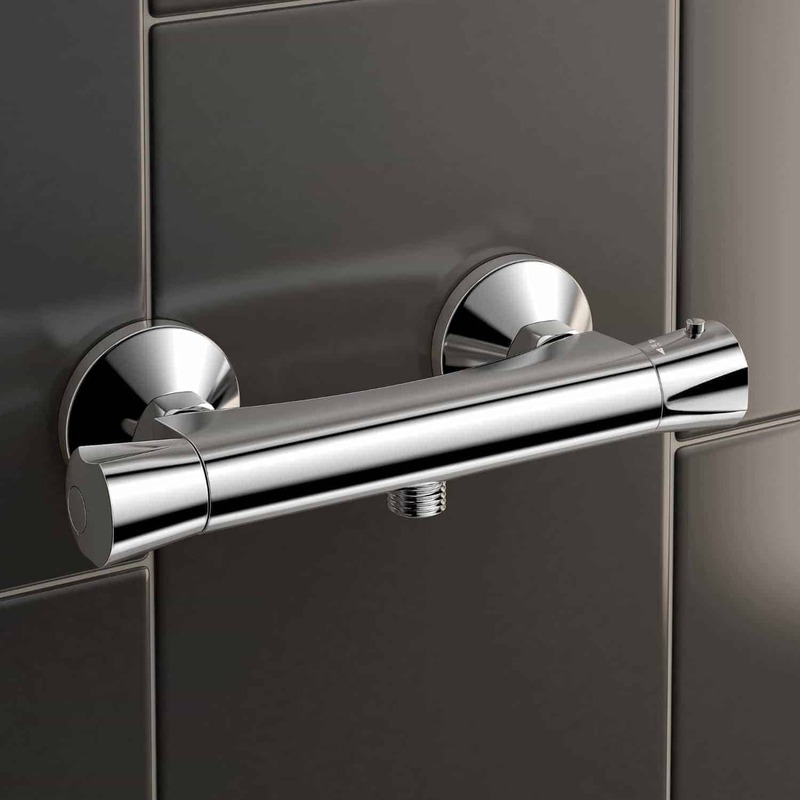 The chrome riser rail is very stylish and offers many different height options. Overall, the Triton Sema is a great mixer shower and works exceptionally well with all plumbing systems. It offers many excellent features, but is also lacking in other categories. If you’re looking to save and have low water pressure, this shower is well worth checking. 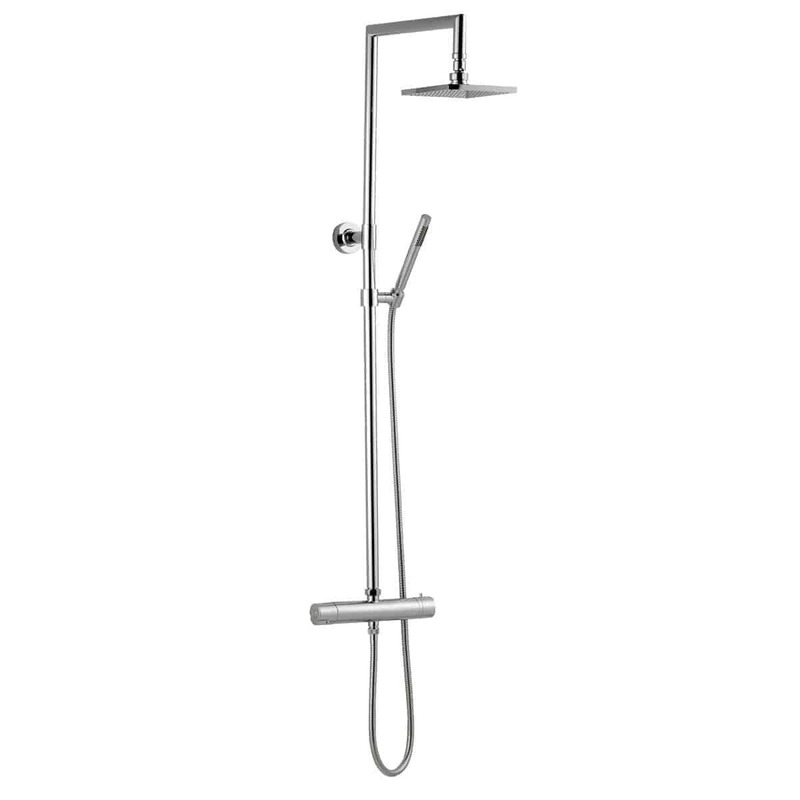 If you are currently searching for a wall mounted bar shower, you should look no further than this thermostatic model. This particular bar shower is constructed out of solid brass with a chrome plated overlay, which will not rust. You can personalize your own shower, by adjusting the dials, which are located on each end of the bar. Each dial is designed with laser print, so you can easily see the temperature and power options. Just turn the dial and set the mixer valve to suit your preferences. Comes pre-fitted with a common type thermostatic cartridge, so should it ever fail, the part is readily available. The inlet valves are situated on the back of the shower bar, with the hot on the left and cold on the right. This will definitely make the plumping installation very simple and quick. The bar will fit solidly on the wall, without concerns of it coming lose, even when tugged on by small children. The Thermostatic wall mounted bar shower is definitely a deal. If you are looking to upgrade or replace your old shower bar, you should definitely consider this brand. If you have a combi boiler in your home, you’re going to need a unique shower! For most individuals, the Mira Element Thermostatic Mixer Shower will do the trick! This shower is a bit more expensive, but it definitely delivers something that many others cannot! For instance, it is manufactured from complete chrome, which keeps it protected and makes it look astounding beautiful. The thermostatic technology helps to keep the temperature safe for you and your family, at all times. With this mixer shower, you’ll never have to worry about scalding. Thanks to the Magni-flo technology, this shower is capable of delivering 3 times more flow than others, even at lower pressures. This shower is equipped with single controls, which give you the ability to switch the water on and off, while also being able to adjust the temperature. The shower is covered by a lengthy 5-year manufacturer’s guarantee, which only enhances it value and justifies the price hike. More pros can be explored below. When it comes down to it, some consumers will agree that spending more is wise, if it means receiving a better product. This follows suit with the Mira Element Thermostatic Mixer Shower. It might be most costly, but it delivers and makes up for it in all regards! For that, this one is well worth its price tag! If you’re looking for an affordable, but very stylish mixer shower, you’ll want to take a look at the GROHE 34143000 Grohtherm 1000 Thermostatic Shower Mixer. This specific shower is covered by a 5-year manufacturer’s warranty, which enhances its value significantly. The system also features EcoJoy technology, which is capable of saving water. The very impressive GROHE TurboStat technology helps to ensure that the water temperature remains constant throughout your shower. The bar’s chrome coating is very stylish and is scratch resistant, so it’ll always maintain its beautiful shine. With the push of the EcoButton, this shower will reduce your water consumption by half! The handle is equipped with clearly distinguishable markings, which provides for effortless operation. This specific shower is capable of working with systems, which deliver at least 1.0 bar of pressure. The install is very easy, when compared to many alternative showers. More pros can be found below. If you’re looking for a simple shower mixer, which is well worth its price tag, the GROHE 34143000 Grohtherm is well worth checking out. It is safe, easy to install and easy to use! It is well worth its price tag and well worth exploring further. Some individuals are interested in purchasing a shower, which is equipped with a traditional style. The Hudson Reed fits that mold perfect. Although its style could be classified as traditional, its features are very modern and help to deliver an excellent performance. First and foremost, this specific shower is equipped with a lengthy 10-year warranty, which is better than many others! The shower head might be limited, but the rainfall water spray is excellent and will drench you completely! In order to sure that you and your family remain safe, the valve is equipped with an anti-scald device, which shuts it off, when the cold water fails. This shower is fitted with a ½” connection, which doesn’t take up a great deal of space. The preset maximum water temperature is 104 degrees Fahrenheit, which helps to protect your family. This specific system is compatible with combi boilers, shower pumps, unvented mains, and fed systems. It can be used with systems, which have a water pressure of 2 to 75 PSI. If you want to step back in time, you’ll definitely want to check out this traditional shower. It is very durable and is covered by a lengthy 10-year warranty! Plus, it works very well! Be sure to check it out today! Q: Can I assume that the thermostatic valve will prevent the temperature changing if somebody turns on a hot or cold tap elsewhere in the house? Some individuals are searching for an affordable, but worthwhile, mixer shower. 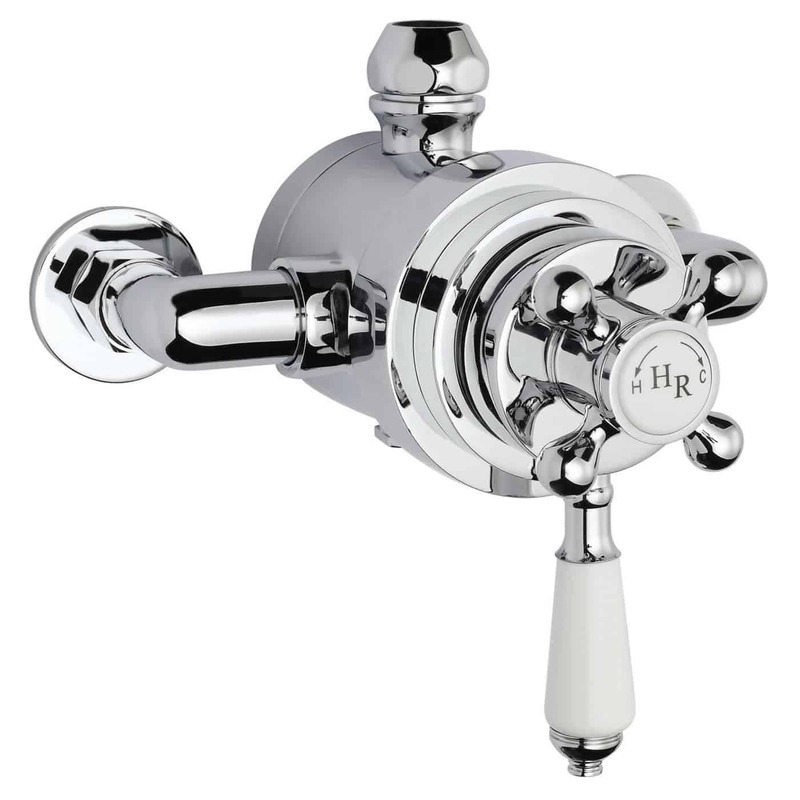 If you happen to fall into this category, you will definitely want to check out the Triton Montagu Thermostatic Mixer. It is very affordable and won’t put too big of a dent in your wallet. Also, it is covered by a sufficient 5-year warranty and is also compatible with all water systems! This shower is equipped with an automatic shutoff, in case your hot or cold water supplies fail. This helps to ensure that you are never scalded by water that is too hot! The thermostatic temperature control helps to maintain a steady temperature throughout the entirety of your shower. For more convenience and control, you will find separate controls for water flow and temperature. For more added peace of mind, this shower is approved by WRAS! 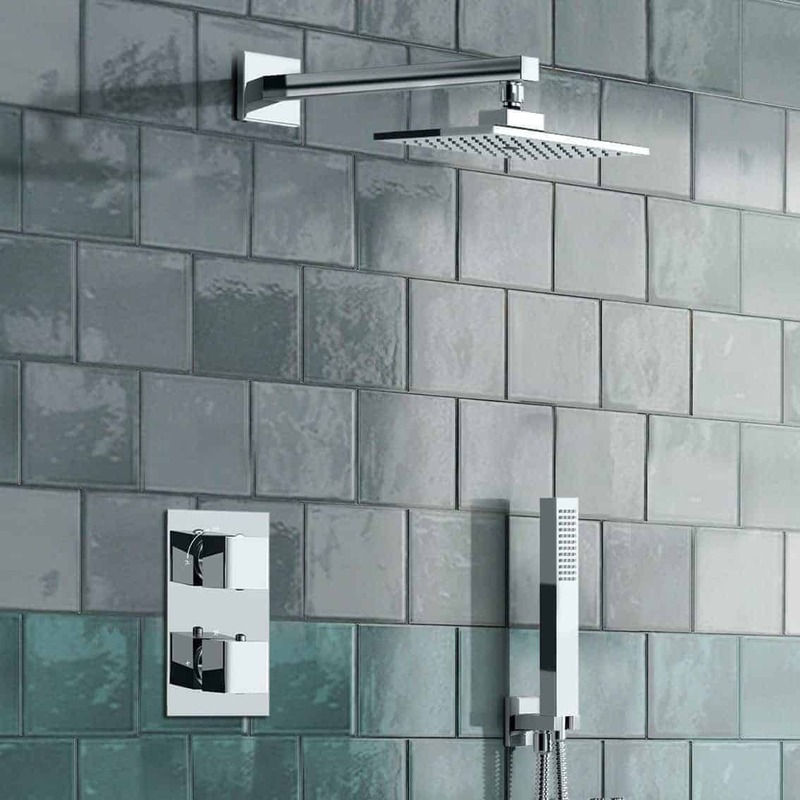 Overall, there is certainly a lot to like about the Triton Montagu Thermostatic Mixer Shower. It is affordable, effective and offers plenty of longevity! Be sure to check it out further and find out whether or not it is right for your home! If you’re looking for the most impressive shower possible and don’t mind splurging, you’ll definitely want to check out the GROHE Avensys. This specific shower is equipped with a concealable valve, which delivers a very pleasing appearance. The shower’s design is very innovative and will look excellent in your bathroom! It offers two levers. One is used for controlling the temperature and the other is used for controlling the flow of the water. This specific shower is extremely versatile and can be used for low and high-pressure water systems. With the device’s thermostatic technology, you can guarantee that your water temperature will remain the same, during the entirety of your shower. It can be used with pressures as low as .1 bar. For added convenient, the installation is effortless and shouldn’t take more than a few hours. When it comes down to it, you get what you pay for. 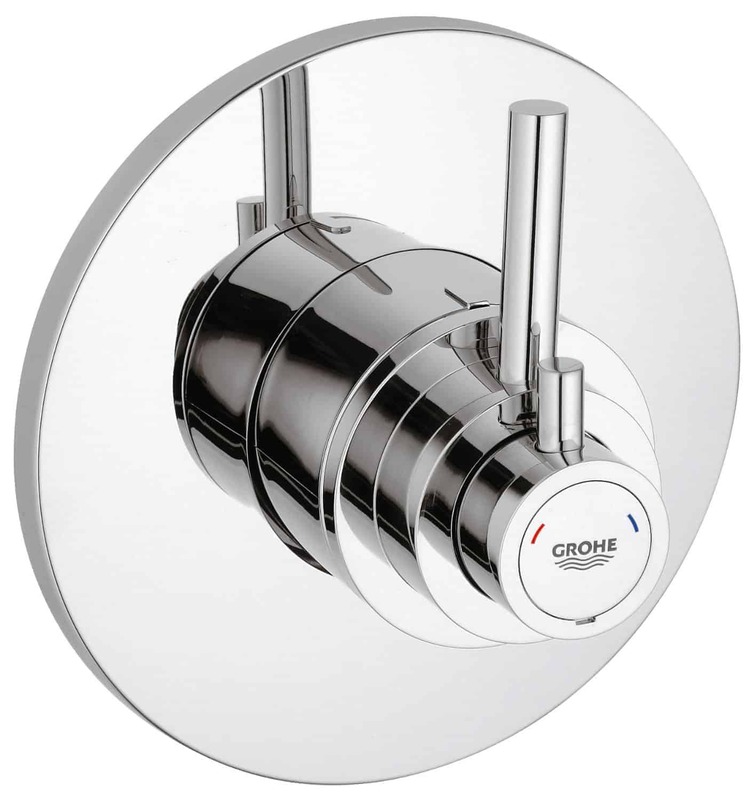 The GROHE Avensys is a very stylish shower, which looks great and performs well. The valve remains hidden, so it never distracts the eye. Be sure to check out this stylish shower mixer today! Hopefully we have given you a better insight into selecting the best mixer shower that meets your specific situation, and help you make a better informed buying decision. If you have any questions or would maybe like to share your first hand experience with these or other mixer valves, please leave us a comment below.